Now available from MCG JAZZ! 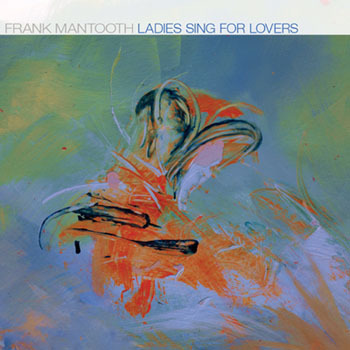 "Having edited most of his writing since the early 1990s, I believe that Frank Mantooth's last project, Ladies Sing For Lovers, is his greatest work. Scored this time for full orchestra and twelve incomparable vocalists, Frank's distinct writing style challenges each singer both musically and technically while, at the same time, he has masterfully orchestrated each chart to fit them in a very personal way. Combine that with some remarkable solos from Kim Park, Dave Steinmeyer, and others - and the results are stunning. Our thanks to Frank's wife, Carrie, for seeing this project through to completion. Everyone who will get to experience this will be richer for it. Thanks, Tooth. We miss you." We regret to announce that Frank Mantooth passed away on January 30, 2004. An online tribute to Frank is being hosted by the website of the New Trier Jazz Festival.